GE Energy, based in Atlanta, USA are a leading supplier of power generation and energy delivery technologies. They have regional operations all over the world, with over 90,000 employees world-wide. HMF have historically carried out an number of projects for Sondex Wireline, a company which was bought out by GE some years ago. So, when GE Energy decided to relocate, HMF were able to design and build the project in a quick turnaround to enable GE Energy to relocate to their new factory in Cody Technology Park, Farnborough on time. GE Energy needed to move to a building that could support all of their current operations and also allow expansion for the future within the local area. 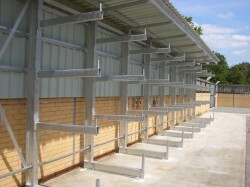 The new factory was to bring together a number of operations and be fitted out to customised facilities using the latest building techniques. In preparation for this task, HMF surveyed their two existing factories based in the UK and then applied a space plan design for the new site, which also accommodated an operation brought over from Canada. 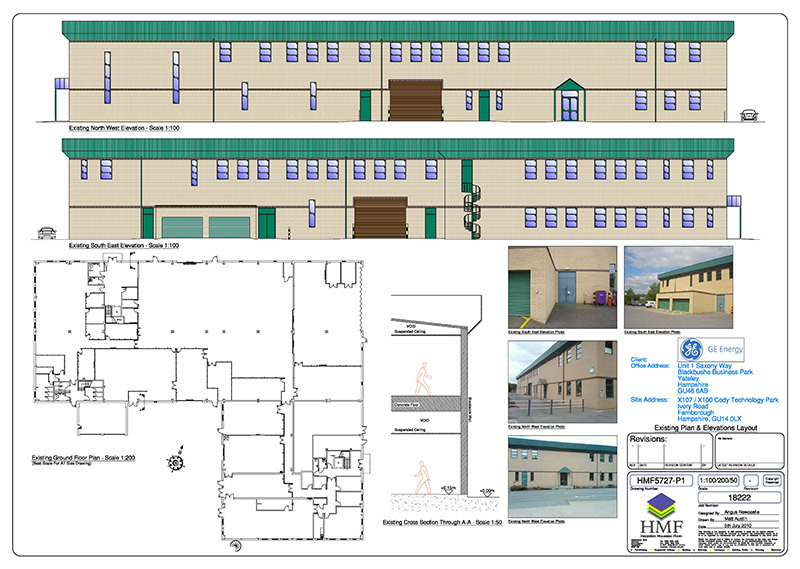 As main contractor, HMF were able to completely re-model the entire building including mechanical & electrical works. Works included the structural modifications of the existing building and addition of windows and external doorways. Low energy lighting and energy efficient systems were employed in the new fit-out design. HMF fitted a gantry crane to the high bay area and fitted out the building using de-mountable and re-locatable partitioning that can easily be reconfigured in the future. Suspended ceilings of various types were used for ease of installation & to encapsulate services aesthetically. 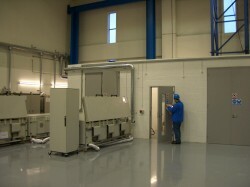 The electrical installation included significant distribution works as well as busbar to production areas. Air conditioning systems were provided & fitted to the latest ECA (Enhanced Capital Allowance) standards incorporating the main VFR inverter systems to heat and cool the new first floor offices. 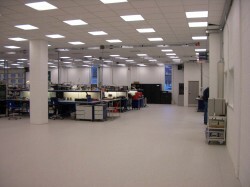 Flooring was a combination of anti-static screeds, vinyl and different forms of carpet and tiling. 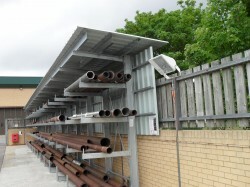 The project cost totalled over £1million including sub-contractor elements and was completed on schedule.